If you're so hooked on to Twitter that you can't stop using it – not even at work – then this little, discreet Twitter client may be useful for you. TwInbox is a plug-in for Microsoft Outlook that lets you manage your Twitter account from the popular email client. 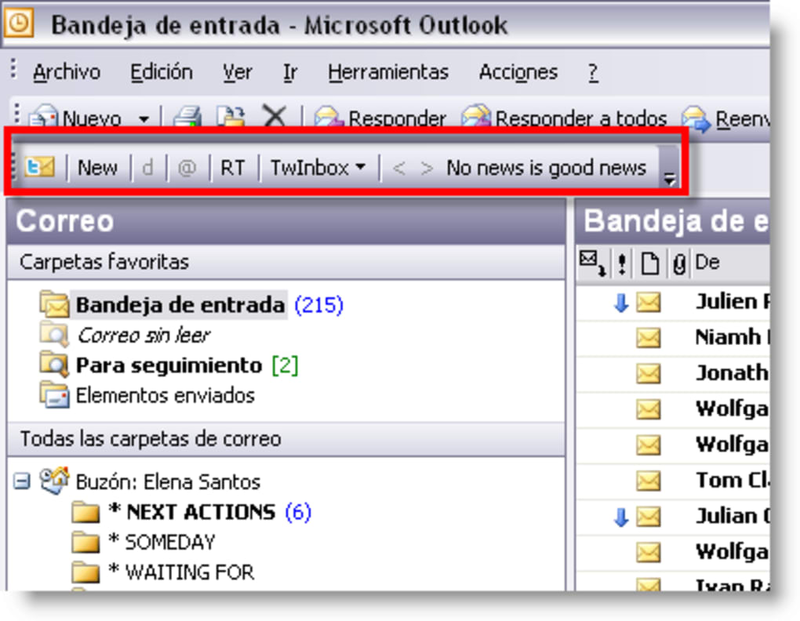 TwInbox adds a new toolbar to Outlook and stores all your tweets (both the ones you write and the ones you receive) in a folder, just as if they where standard email messages. 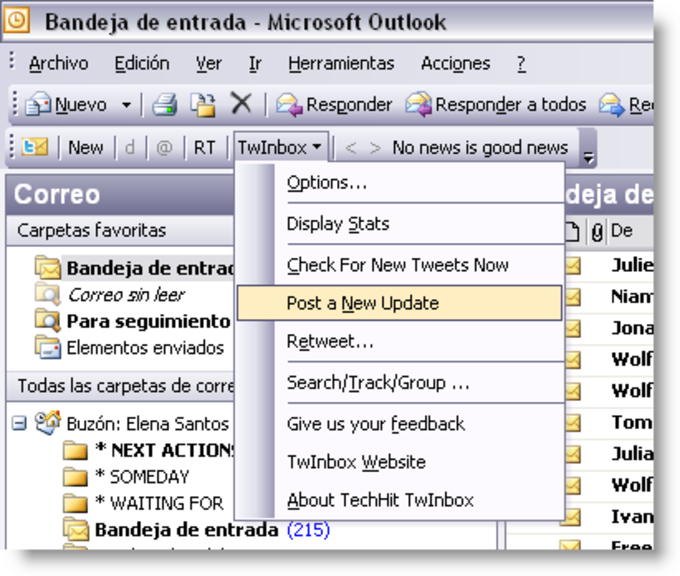 It feels a little weird to use Twitter in an email interface, but you get used to it quite fast. 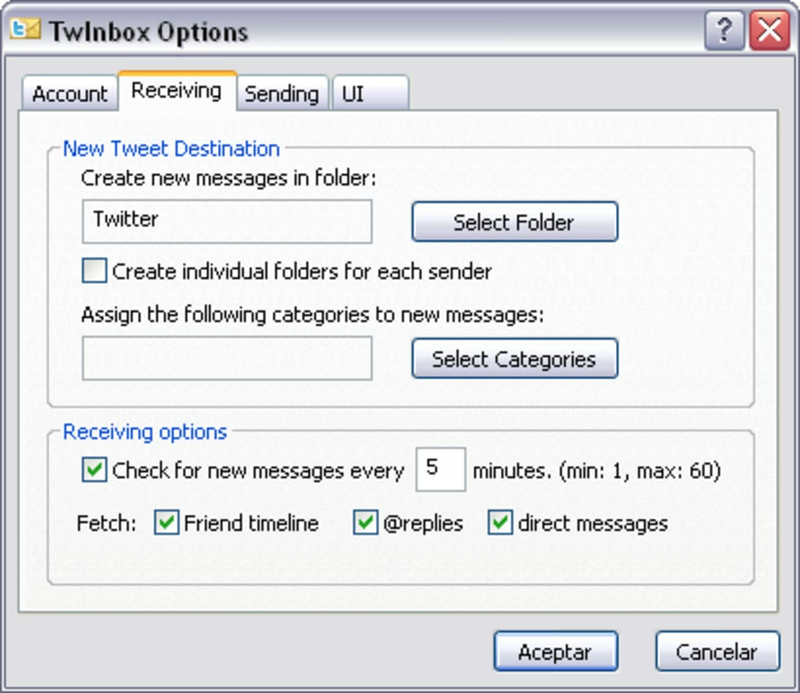 The TwInbox toolbar includes all the functions you would get from any regular Twitter client. 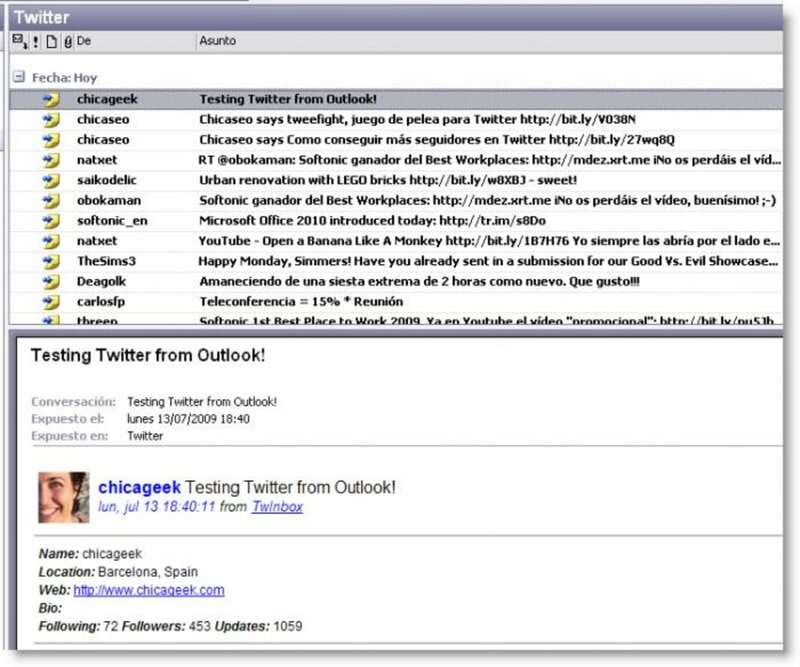 You can retweet messages, send replies to users and exchange direct messages with your followers. 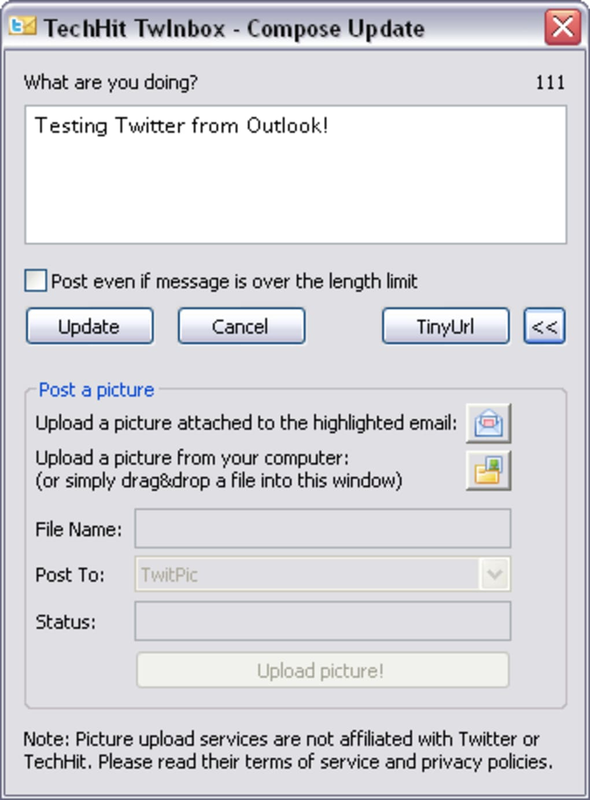 TwInbox also lets you publish photos to your Twitter timeline (with three photo sharing services to choose from) and share links, though this last option only supports one URL shortening service. 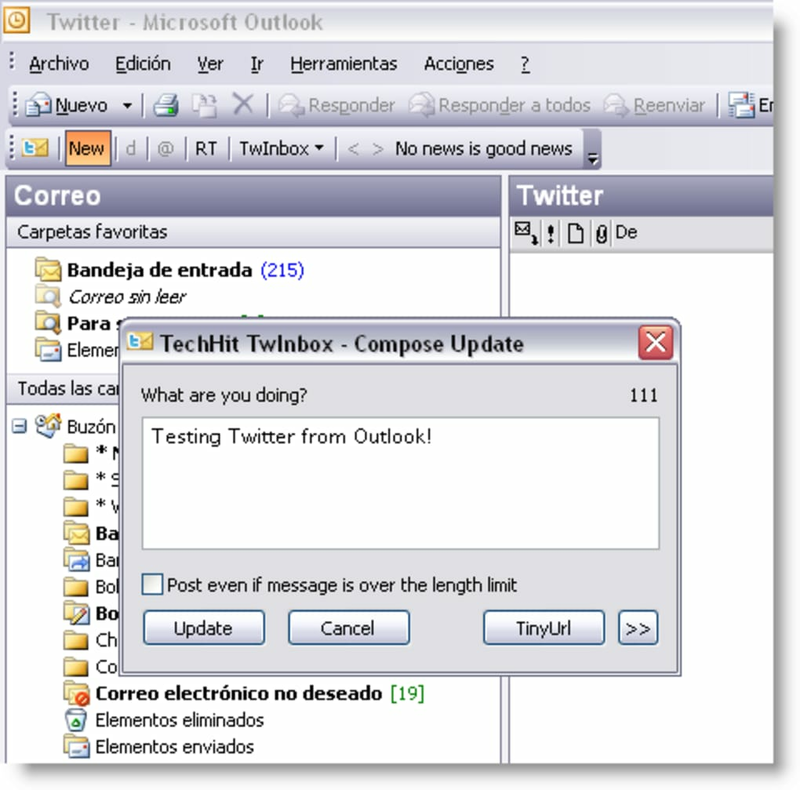 TwInbox is a plug-in for Microsoft Outlook that lets you use Twitter from the email client's interface. What do you think about TwinBox? Do you recommend it? Why?